Ashton & Moore Ltd. is proud to announce that they have recently installed and commissioned a Union MDMV2 PX totally enclosed solvent degreaser supplied by D&S Ultraclean Ltd. In operating this machine, together with using the Dow Chemicals Safetainer solvent delivery and removal system, this should allow Ashton & Moore Ltd. to drastically reduce their usage of Perchlorethylene and any related emissions. In fact, the latter are so limited that, unlike the previously employed double-door degreaser, this machine requires no stack of any kind venting to the atmosphere. 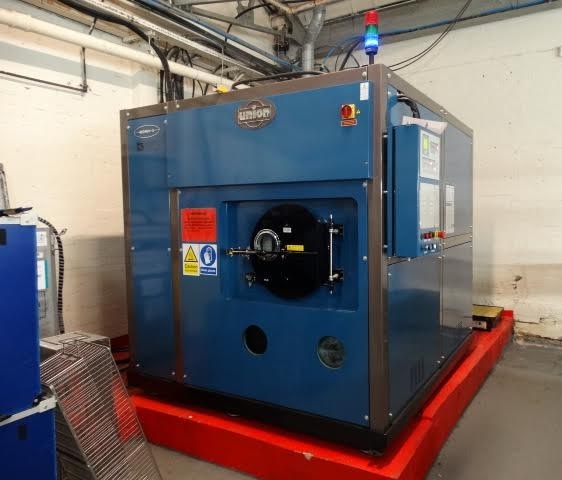 Although this machine has required a significant investment, the management at Ashton & Moore Ltd. has seen this as a step forward in protecting their capability to degrease components through the ever-more stringent environmental legislation coming into force. Together with our recently commissioned multi-stage aqueous degreaser this should permit the company to continue providing an excellent, safe way of cleaning components in compliance with the aerospace and defence specifications we work to and fulfill our commitments with regard to our ISO14001 Environmental approval.